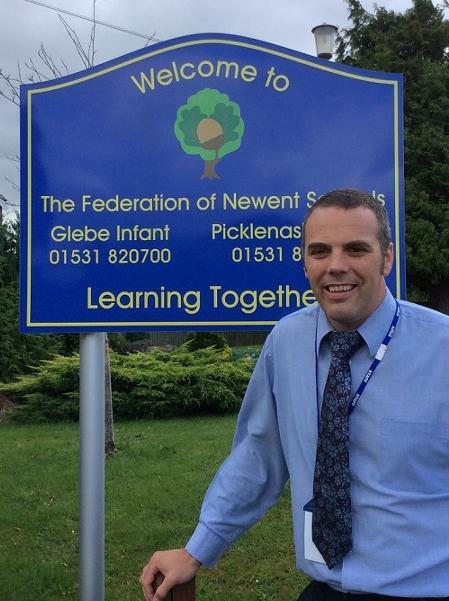 It gives me great pleasure to welcome you to The Federation of Newent Schools. The Federation of Newent Schools is a primary education setting that prides itself on providing a nurturing and quality education for all of the children in its care. The site comprises of two schools, Glebe Infants and Picklenash Juniors, and has established a welcoming and inclusive ethos with firmly embedded whole school values. The values of Friendship, Courage, Perseverance, Trust, Respect, and Forgiveness are interwoven in to all aspects of school life and provide the foundations for creating the positive and supportive learning environment that allows all children to succeed. Ensure that everyone reaches their full potential in a safe, supportive and encouraging learning environment. All of our staff are dedicated to ensuring that children are 'Prepared' for their next steps both academically and socially; 'Progress' to meet their full potential and 'Prevail' against the challenges and barriers that they might face along the way. With this in mind you can be assured that your child will have the support, care and challenge needed, in an enriching, engaging and exciting environment, to reach their full potential. We are a split site primary school comprising Glebe Infants (Reception - Year 2) and Picklenash Juniors (Years 3-6). The Schools work closely together to provide a quality education under the leadership and management of a shared Governing Body and leadership team. Children within both schools benefit from our outstanding pastoral and special needs team who work closely with staff and parents to provide focussed attention in meeting individual needs. This is an area that we place great emphasis on and further information can be found later in this booklet. Being the only primary provider within the town of Newent we are proud of our relationship with the local community and we work hard to ensure that strong links are made with local organisations. Many of these links are able to provide our children with unique opportunities and experiences that add breadth and balance to our curriculum. As staff we are passionate about developing a love for learning and working together to ensure everyone achieves to the very best of their ability. Our curriculum is carefully structured to inspire children and provide opportunities for them to discover and learn in fun and engaging way. As well as focussing on the key academic areas in School we recognise the need to develop the whole child and as such look to provide a range of opportunities that prepare children for the next steps in the educational journey and life in general. If you are looking for school places for next year's Reception or in any of the other primary year groups we would welcome you to visit Glebe Infant School and Picklenash Junior School. Please feel free to contact the School office on 01531 820589 or email admin@newentfed.org to arrange a tour of the Schools. Since my appointment, as Executive Head teacher in September 2017, both Schools have undergone a massive transformation. The result is that they are both now firmly on the journey towards good and making rapid progress. Most recent HMI OFSTED Monitoring visit – ‘Making effective progress towards Good.' View report here. As Head Teacher I have now had time to shape a Senior Leadership team and staff team that has the knowledge, skills and experience to provide a quality education for the young people in our care. Recruiting experienced staff with specialist skills and County wide recognition has been key to ensuring the children of Newent get the very best provision. The staff across both Schools have been restructured to ensure that deployment is set up to benefit the children and that qualified, skilled adults are always on hand at those key times to support and challenge children to achieve their very best. The Governing body, who have also seen a huge change in personnel now have the required skills and knowledge to support and challenge the School in its continual drive for improvement. The School’s policies and procedures have been reviewed in all areas making sure that all aspects of School are working together to develop a common goal with consistency between year groups, classes and Schools. The curriculum, which is key to inspiring learning and achieving academic success, has been reviewed and adapted to suit the needs of our children, in our setting, with their own unique needs. • Development of speech and language. • Prioritising reading and purposeful writing opportunities. • Providing experiential activities to inspire learning. Whilst meeting the requirements of the National Curriculum, staff ensure that this is delivered in a way that best suits the needs of our children. A more comprehensive review is already underway to establish a curriculum that fully embraces our values, vision and intent. This will allow us to further improve the provision for all the children within our care. Our Early Year’s Department ensure a ‘5-a-day’ reading approach is embedded alongside basing their whole curriculum around carefully selected picture books. Trips and visitors are a key part of the other year groups’ provision: evacuee experiences, Stone Age archaeological digs in the School grounds, Zoo visits handling snakes & tarantulas and seaside visits are just a handful of the events that have occurred recently. Furthermore, the School values ‘Outdoor Education’ and we have introduced an outdoor education programme that allows every child to gain from a range of amazing outdoor education opportunities. Many of these are carefully selected to link with the in-class curriculum: building Anderson shelters; digging WW1 trenches; lighting stone-age campfires; looking at materials for shelters etc. These opportunities allow those children that would normally find learning in a classroom tricky to really be able to express themselves as well as benefitting the mental health of all involved. Careful budget management has ensured that we have been able to redevelop our Key Stage 1 classrooms to provide some of the best learning environments around. The large open spaces, which are calmly decorated provide the ideal place for children to learn and teachers to teach. We are currently reviewing our computing provision and having just invested over £25,000 on new technology. Over £4,000 of new reading books have been added to our reading schemes providing children with the resources to develop a love for reading. The School has also bought in the services of a specialist Speech and Language Therapist who works alongside our talented teaching assistant team. There are so many other areas that have been improved: improving learning attitudes and developing a growth mindset culture, community involvement, communication and parental engagement, full wrap around provision and so much more! Two significant projects, ‘TRANSFORM Maths’ and ‘EEF Developing Literacy in KS1/2’ have drawn recognition from the local authority and our School has presented on the impact of these interventions to more than a hundred other schools. Both Schools are very much on the right trajectory to meet the requirements as set out by OFSTED and this was very much ratified at our recent HMI OFSTED monitoring visit for our Junior School earlier in the year (the full letter is available to read on our website). Backed by a committed group of Governors, staff that share the vision for the School, a supportive parent body and children that are a delight to teach I know that we will continue to move in the right direction to create a primary education provider of which the local community can be truly proud.